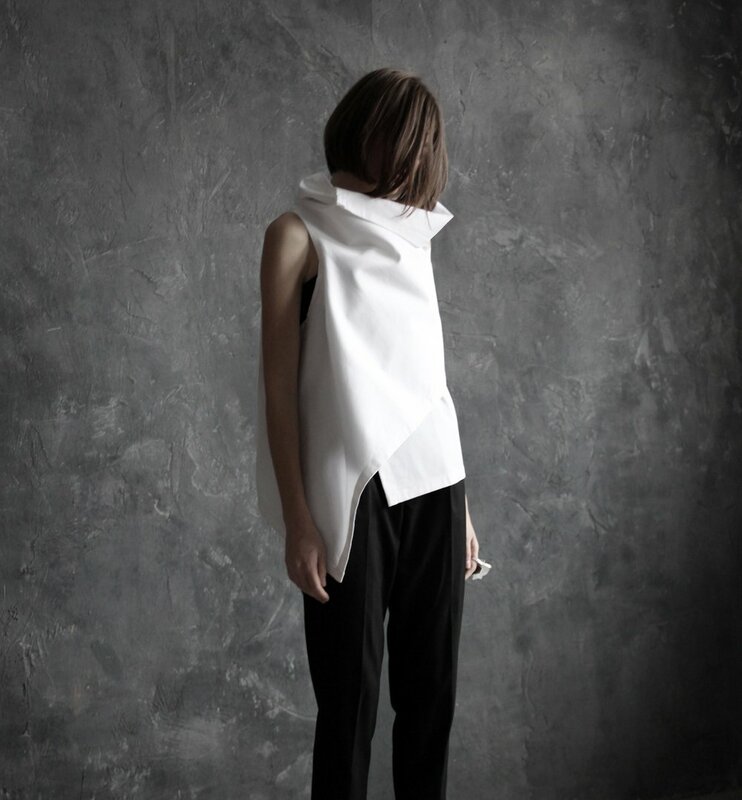 A brand I own a couple of pieces from, and have featured in the past, is Celestial Body. This small indie brand is based in the Ukraine and can also be found on Etsy. Everything they design is very relaxed, draped and can be worn or styled in many different ways. The silhouettes are familiar but at the same time they have a kind of classical avant garde shape, as contradictory as that may sound. They are designed vaguely enough to allow the wearer to impress upon them their own stamp. Since I last wrote about them, they have added quite a few new things to their Etsy shop and in colours beyond black, white and grey. they introduced red and salmon pink to their palette, which works beautifully with their existing shapes.